A new documentary is receiving limited release, detailing an infamous art heist. Stolen, details the largest art heist in modern history, which took place at the Isabella Stewart Gardner museum in Boston, the day after St. Patrick’s day, 1990. 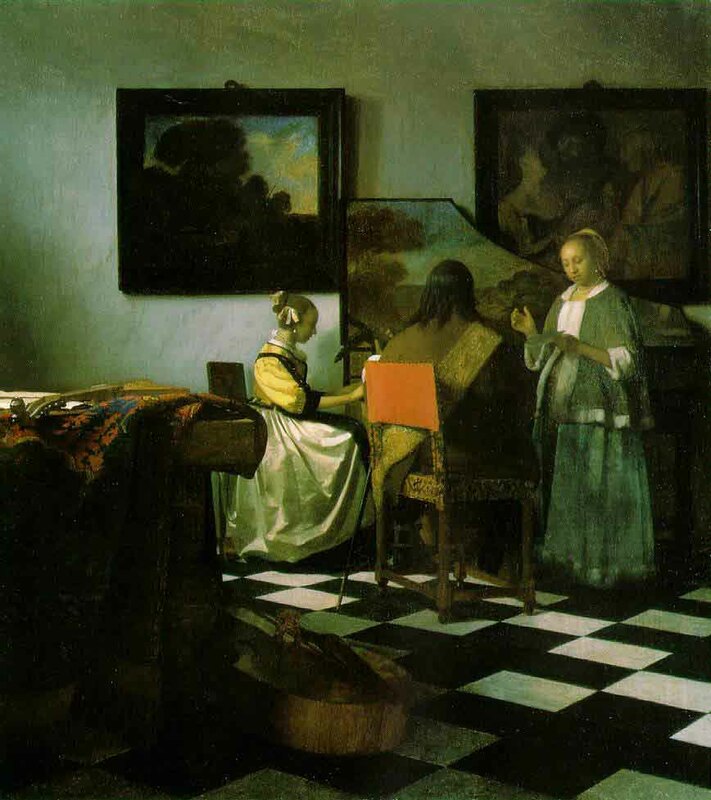 13 works were stolen, including this work by vermeer called The Concert. Apparently the film follows a couple of storylines. One details the work of an investigator, Harold Smith, tasked with finding the missing works. The other, examines the artistic value of these stolen paintings. What exactly the thieves have done with the works remains a mystery, as they are too widely known to be sold on the open market. The film should be fascinating, unfortunately its not being widely released, and seems to only screened in art galleries across the US. Very interesting information, I had not seen anything about the possible terrorist connection before. The theory seems quite plausible. A seedy side to the art trade!! !